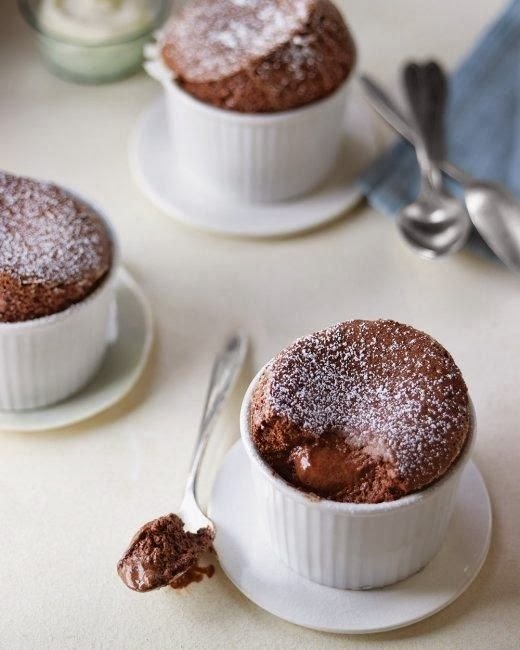 I am a chocolate lover and feel that chocolate soufflés are the ultimate dessert. It's my go-to dessert when dining out on a special occasion. 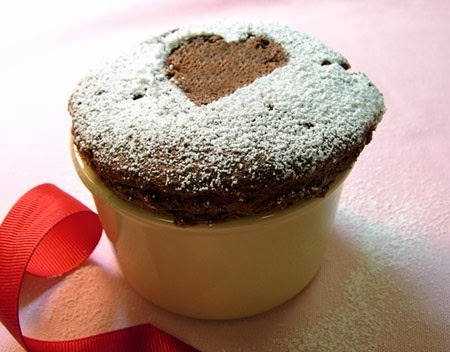 Chocolate soufflés are even more fun to make at home and this recipe from Martha Stewart is a great one. It's easy to make and the individual servings are fun. And, I'm a big fan of the powdered sugar dusting on top ... reminds me of brownies. Try using a cut-out heart on top before dusting to create a lovely Valentine!